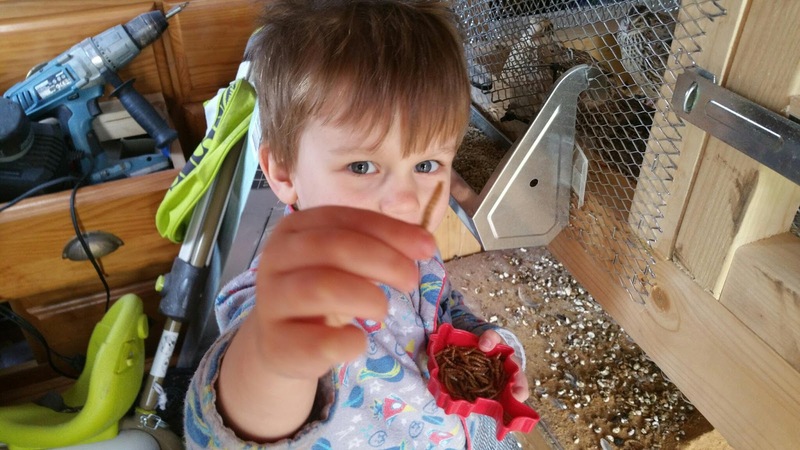 Bugs and Boys, Feeding the Quails Mealworms and Our First Ever Video! The mealworms really help to get the protein content in the quails diet up, quails go mad for mealworms as I am told it is their favourite treat and our quails confirmed that, they cannot get enough! It's great to get the kids involved with the quails, I try to make sure they know everything about them and Logan has really started to show an interest in learning about animals, particularly insects. 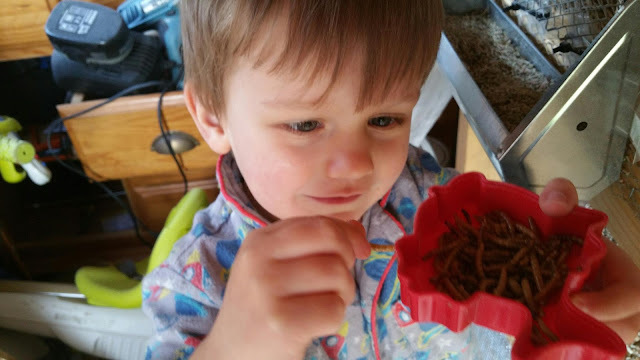 I'd like to set up a live mealworm farm soon, I think it would be a great project for Logan to be in charge of, just as soon as I can trust him not to take them out and race them around in toy cars or play Lego with them, I think Carly would kill me! Love it! Getting kids involved with food production is the right thing to do. The skill and responsibilities it teaches them and the sense of worth they get is so important! We feed our wild birds meal worms and hubby always gets our grandsons to help. Sam loves them Josh won't touch them.